This vintage novelty straw box purse is so cute! Don't you just love the seashell turtle? It even featues lucite handles. What a find! 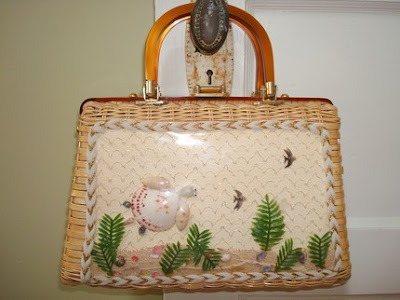 Novelty purses and handbags were very popular in the 1950s. The most recurring themes usually centered around nature.